Posted on April 28, 2012 by Richard H. McBee Jr.
Well, here we go with the blog to get out the news on my writing and book work on Rough Enough, a Civil and Indian War nonfiction spyglass view of the life of Richard H. Clow from 1864 through 1880 as he fought in the wars, married two women, mined for gold in the Black Hills and eventually settled outside of Deadwood, Dakota Territory. Today has been spent getting the emails of numerous book reviewers who will hopefully either write small blurbs for inclusion on the cover of the book or review my galley proofs or first printed copies for magazines or publishers such as Amazon, Civil War News and Civil War Digest so that I get full coverage with the public and library networks. It looks like i’m on a roll but it will take a few more days to get things set up before I email out the synopsis. Wish me luck (although I tend to make that myself by nose to the grindstone). 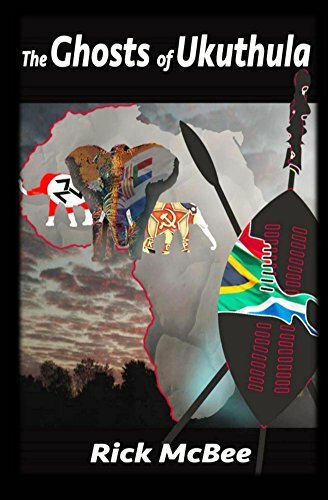 Visit my Amazon site <amazon.com.author/rickmcbee> for a copy of my previous book “Kalahari”.